Think my blog has gone Caraval crazy? Then you’re completely right! And I still haven’t talked about actually meeting the amazing Stephanie Garber – so that will come tomorrow. After then, I might stop talking about this magical world for a while (umm…yeah right). 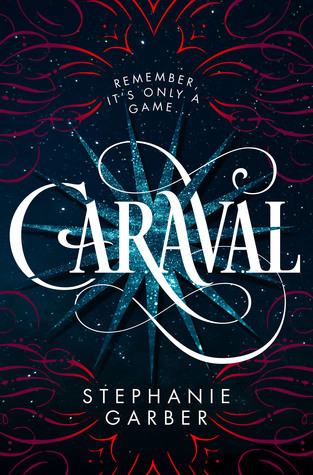 I couldn’t write a Beautiful Quotes post without including Caraval. This book has so many lovely quotes, so I knew it’d be perfect! Have you read this lovely fantasy yet? Haha yeah, it was hard because of the storm here but I got there! Ohh, I really like Landline. But I can understand how it would be a little hard to follow! Well, I read a little bit more (er…two pages) last night and I wasn’t completely lost, so yay me! I CAN retain stuff after reading at 3 AM! Reblogged this on Blame Swift & Books.